Hey Dolls, Welcome to my first ever blog post! 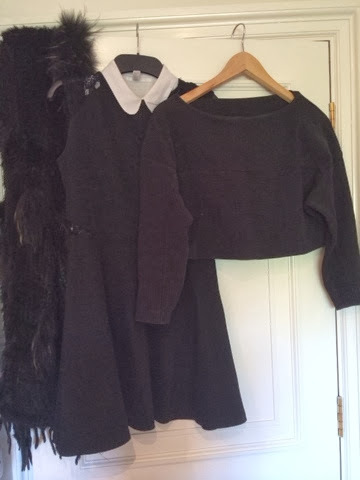 A classic 'Bea' outfit that I love to wear regularly is one that has some form of collar, the bigger the better I say. Today I went for the simplistic peter pan collar, which paired with anything with a high enough neckline can change and shape an outfit completely, you can refine the way a dress looks by simply pairing it with a shirt or detachable collar depending on the cut of the dress. 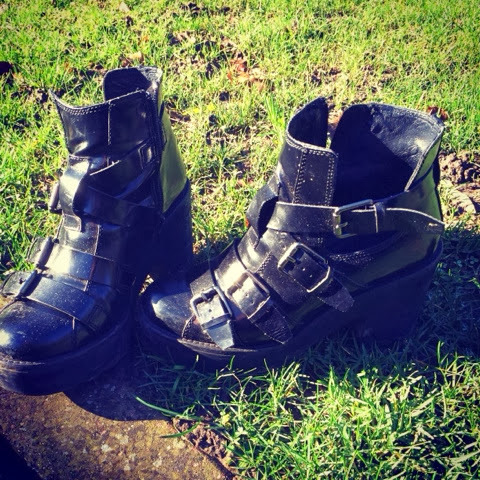 Inevitably by adding a collar, you can't shy away from the school girl style persona which it conveys, however you can switch up the look with just a pair of shoes or maybe even just an accessory, I opted for my grungy biker boots from Topshop. I am literally in love with these boots, they go with pretty much everything and can change a look instantly. These are undeniably a must-have. With gale force winds sweeping the South West at the moment it is a sensible idea to layer up! In this look I went for the dress and shirt combo, with a cropped jumper (the dropped shoulders and tight sleeves give it that 80s vibe) topped off with my rabbit/fox fur gilet to add glamour, with the addition of a few simple accessories. You can't go wrong with a velvety black hairband... I have American Apparel to thank for that.